What is Innovation at the YMCA? When you are a part of world wide youth movement it seams that the innovations should happen now and then all the time. Is that so? If yes, then what kind of reflection and evaluation processes are going on to describe the innovation and how do we share them? To answer some of these questions I went to the Programme Innovation camp 2018, organized by the YMCA World. 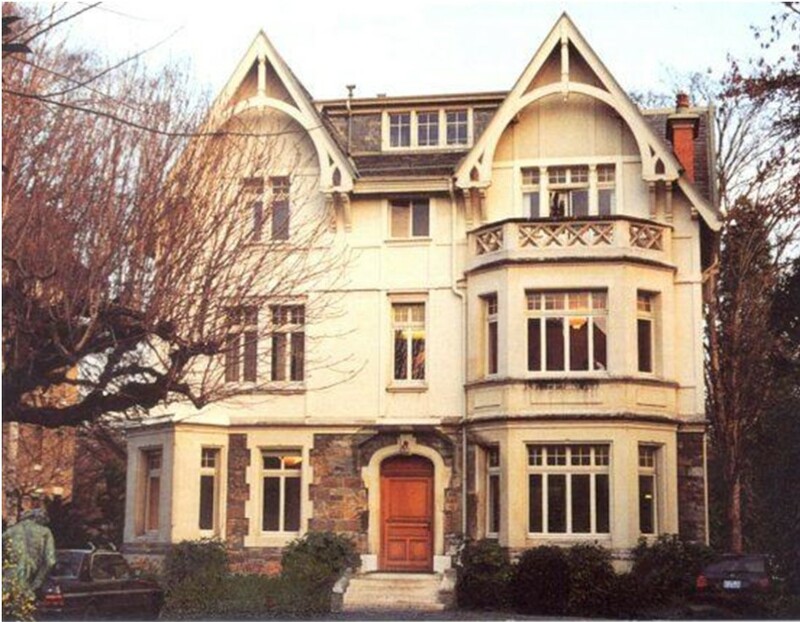 We were welcomed in Geneva, in a lovely house that saves Y archives in its basement and keep some space for Y dreams under the roof. I got my coffee and went to the backyard. Australian participant was already there. – Hi there. Where are you from? – I am staff too. Fitness instructor. I could apply for CEO at our local branch but I think it is too early for me. – Ours Y is a start up. So I see myself more like a team leader. We are only 20 years old in Lviv. Definitely, if we want Innovations we should learn to create them. 25 years ago there were no YMCA in Ukraine and suddenly it was created by groups of volunteers in different regions of the country. Then different branches started to built the national network and international partnerships. Was it an innovation? Or innovations came later, when different programs started to create spaces for new ideas and dreams of young people? To answer these questions we need to know what innovation actually is? Take just a moment to rate your company on a scale of one to ten, first for its ability to generate innovative ideas, then for its ability to execute them. Repeatedly, when we do this exercise with executives, they rate their companies relatively high for ideas – say, seven or eight – but quite low for execution – typically one or two. Preparation for the Innovation camp started when I red the book and rated local Y. We are quite good at ideas and some of them are innovative. We do one or two ideas out of ten. In most cases we see them as projects due to limited resources our Y start up has. It iill very complicated task for us to turn them into long term Y programs. To get donors and to make them sustainable. We need international partners with history to promote and develop best practices from Y on the local level. We need to be relevant for local context by responding to the needs of young people. We need more Y partners willing to help us to set up Y in lviv. So, what do we have to offer? In fairy tales innovation is coming to your door with elves or angels in the crisis moment and offer some magic to help you. In real life elves might be willing to stay at home but the crisis moment and unexpected discovery on what to do next still exist. In the case of YMCA Lviv the crisis moment was linked to the war in Eastern part of Ukraine. We produce values, so we already had very important resources to share. But how to do it? First, as volunteers we went to hospitals to help people who were injured by police during Revolution of Dignity (2014). Then some of our members went as volunteers to war. Others stayed to help people coming from the frontline. State services were collapsed. We went to train station to meet trains with people who escaped from bombs and shootings. Mothers with kids with no worm closes or any belongings at all. We were calling our friends and hotels to get some temporary shelter and food for them. Among IDP were many young people with creative professions who could not find a job in the new city. The war did not stop, so they needed an integration, something that humanitarian aid could not provide. Same was true for our veterans: coming back from military service they needed to be re-integrated, get new job and start new life. Rehabilitation and mental health programs were needed. We knew nothing about how to make such programs and how to make the be a good ones. We had no finances for research, so we made a network with different organizations and professionals and experiment instead. Actors from Les Kurbas Theatre in Lviv Oleh Stefan and Nataliya Rybka-Parhomenko told us that are open for art project that might help. Andriy Vodychev joined us on the second stage of the project. Crimea SOS team led by Alim Aliev and Halil Halilov, Concordi team led by Nataliya Izhytska, Ra-centre led by veterans and Y Lviv made a team and cooperation started. We used Les Kurbas methodology as a base to create dialogue and facilitate inclusion of new comers into the city. 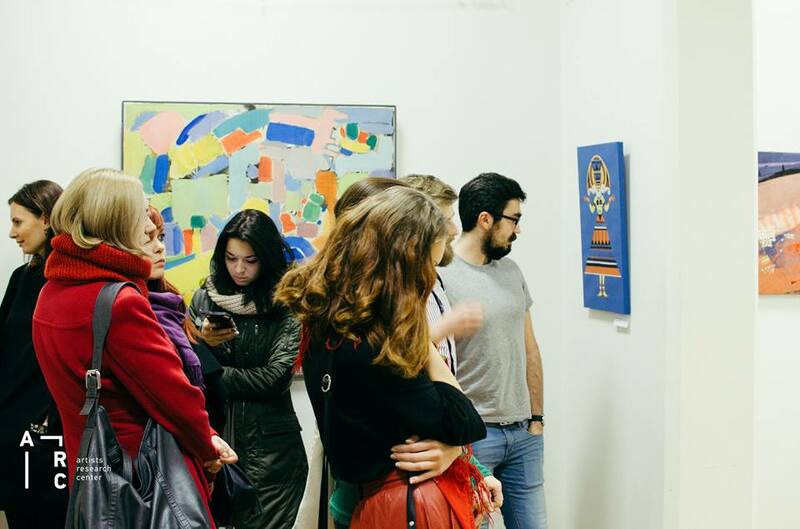 Art helped us to go beyond borders and built new networks for young people. What will be at the end? Do we have some topic, roles and scenario? – I was a bit worried how to develop the project and explain it to donors. Does life have any that we know? No, it is impossible to have. We will do it together based on what people need to say. 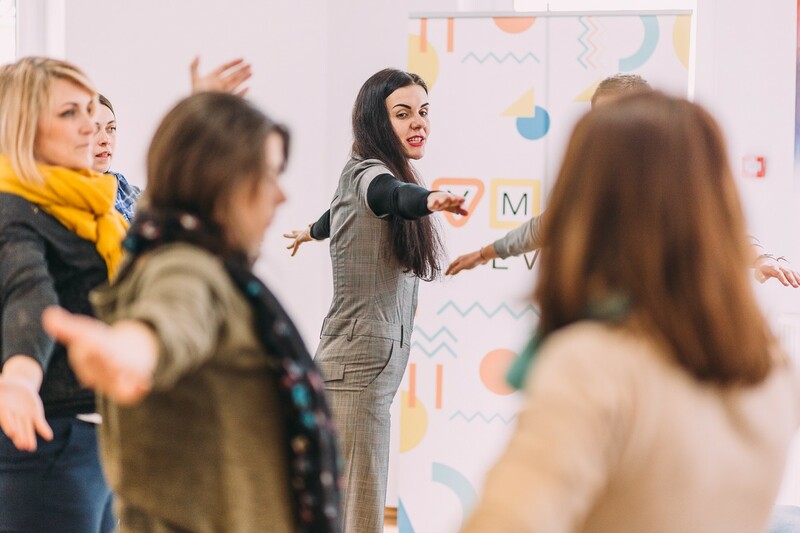 It will be an intimate communication, art in moves, songs and stories that are waiting for us somewhere there… You need to trust us on what will happen – Oleh and Nataliya sent us some training materials. We had to learn how to trust each other before we started to offer it to our participants. So, based on shared values we made some tools to help with IDP integration. We got reliable donors (UNHCR, Malteser Relief service in Ukraine and YMCA Calgary). The formula is not good enough to explain the feelings and experiences people had. 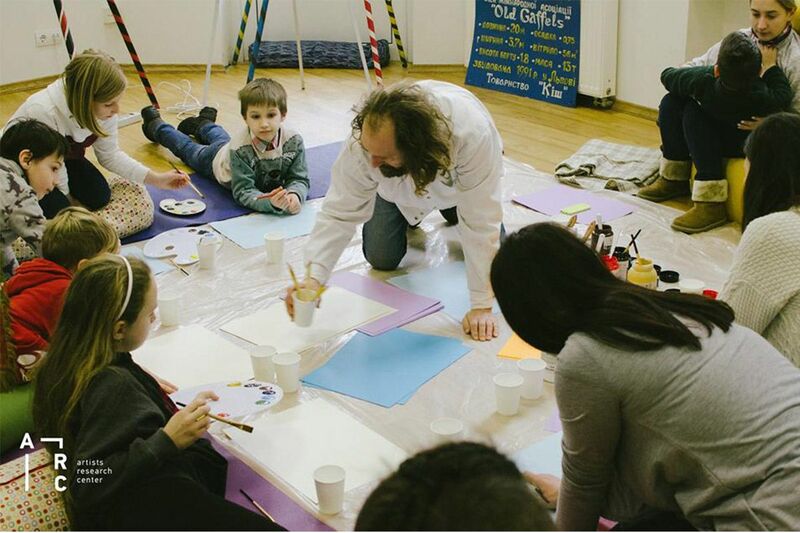 Together we were creating a safe space to be silent, to cry and to reflect through art forms on all the events that makes your new life a new reality. When I came to Lviv two years ago everyone was so friendly and understanding. It did not take much time when I felt that actually I am alone here and nobody cares what is going on in my life. No-one here for me. Being hospitable, Lviv society is still very close one, and there is no an easy way to become one of locals. This project is like a fresh air helping me to breathe again – Renata, project participant. For our fist project Labyrinth (2015) we had to memorize and walk 365 steps together. Sometimes we stoped for a song or a poem. No talks, no roles, no drama. Just us walking and singing. And music with different topics. We went through big city, nature, war, desert and water. We all came home and everyone got this feeling no matter where the home was. Instead of one performance we got four. We went to little villages and walked our Labyrinth there too. Then we decided to continue the project. This is a project that could not exist without love. One day we asked participants to write monologs. They start to read them and I did not know where to hide my eyes and how not to cry… Those were very strong, powerful moments, private psychological drama trainings, deep and honest… I kept asking myself – for whom these moments? For them or for us? Then we made documentaries from these monologs and showed them before the performance –Nataliya Rybka Parhomenko, director and trainer. 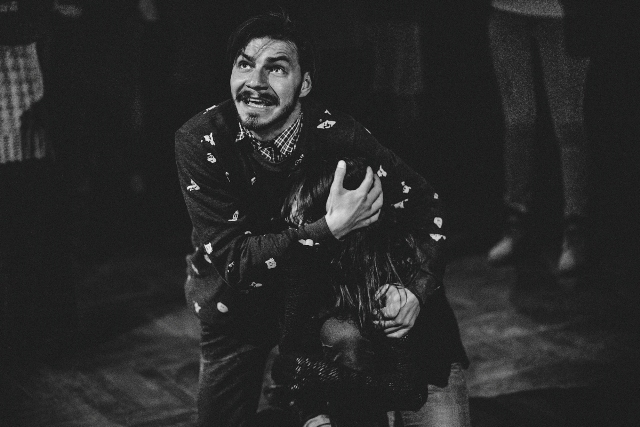 At one of the trainings for 21 Naked voice (2016) participants had to run at the stage of the theater and call their mother. It has been the most sensitive part of the project. Where is my mother? Is she still a the frontline of the war? Will I see her again? Is she alive? Maybe she is at home making dinner as usual, but when was the last time I called her? Do we talk heart to heart? What is my Motherland? Where do I belong? Everyone had a story to share, to cry about, to reflect on… That was the moment voices got completely naked and honest. As an outcome we created team of young and no so much Ukrainian people ready to continue their journey on the international level. In cooperation with YMCA Lithuania we developed a short 5-days model making together a short movie Voices of freedom (2018). Now we are ready to share our methodology which is helpful with integration and inclusion of any kind of new comers in the society and we are up to cooperation with young people from Ys all over the world. Veterans do not go along with IDP. Both groups want to start new life, but being together is a silent remainder of the old one. We have no chance to create a project for veterans but we might be more successful if we make one together with veterans instead. We are not rabbits or mice. We do not want to be an object for all hyper-caring therapists, especially ladies. If you plan to «save» us, please, do not do it. Trust was not enough to work with veterans, there should be some honesty as well. Ok, maybe you have some ideas based on whet you already know about our «21. Naked voice»? Yes, we want to invite trainers from the same theatre. And to create a street performance. 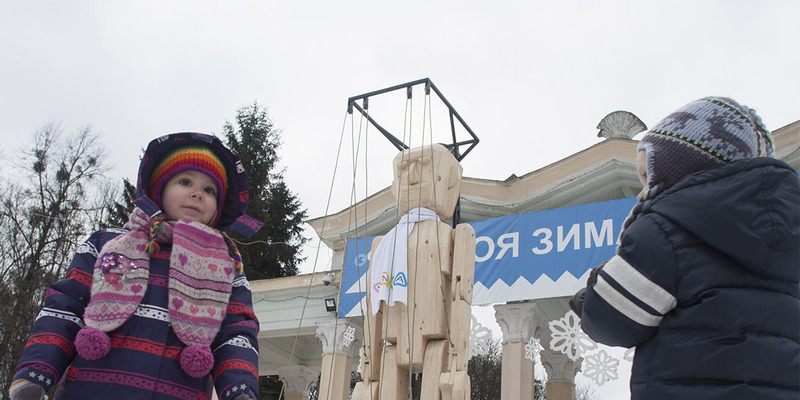 We also need to make a huge wooden puppet for it. None ever worked with wood before, so it will be fun. Wooden puppet sound fun. Let`s try. It was not fun to find donors. Our project for veterans rehabilitation through art therapy and woodwork looked strange. No-one did it before. No proves it will work. In one year time, when we lost hope to get some support, we received a call from Democracy grants program of the U. S. Embassy in Ukraine. – Are you still up for the project you sent to us? – Sure, we were up for it. My daughter asked me to make her a puppet. I went to war and coming back decided to keep to all my promises. I started from the most important one – the one I gave to my little daughter. And my friends liked the idea so much. This puppet will be so huge that all kids can play with it – Nazar Vytrykush, war veteran. At war we realized that we should not postpone our dreams for tomorrow because tomorrow may not come – Yurko Vovkohon, war veteran. Derevyanko and his friends performed at open air party on January 14, 2018. Now he is dreaming to get a bicycle and make some more of good deeds. Even thought Derevyanko is a huge puppet it don’t mind to travel and visit our partners all over the world. It dreams about London and Nevada to promote mental health and sports. So, for the Programme Innovation camp I came prepared. I had successful stories, not so successful stories, the project proposal and a couple of ideas for partnership. Together with a suitcase I felt completely ready for the Y adventure. Where are we as global movement in terms of innovations? Are our innovations relevant to what the others are doing? How should we share them? What we should do together and are we capable to do it? 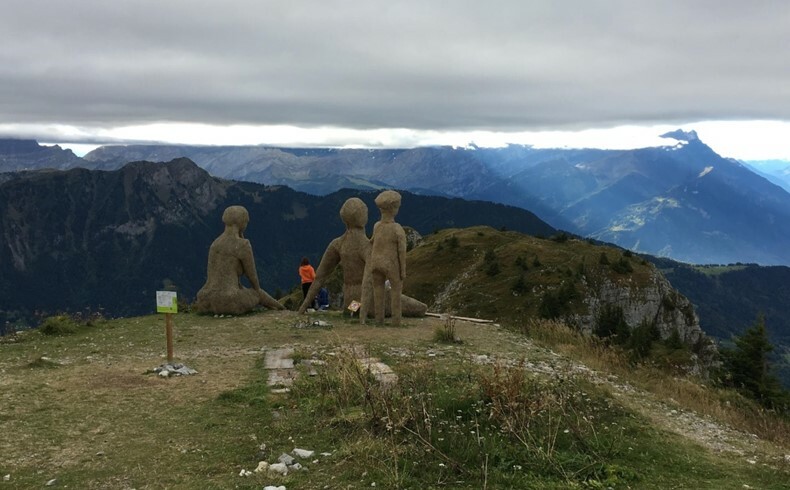 To get some answers on innovations we went to lovely little town called Leysin. 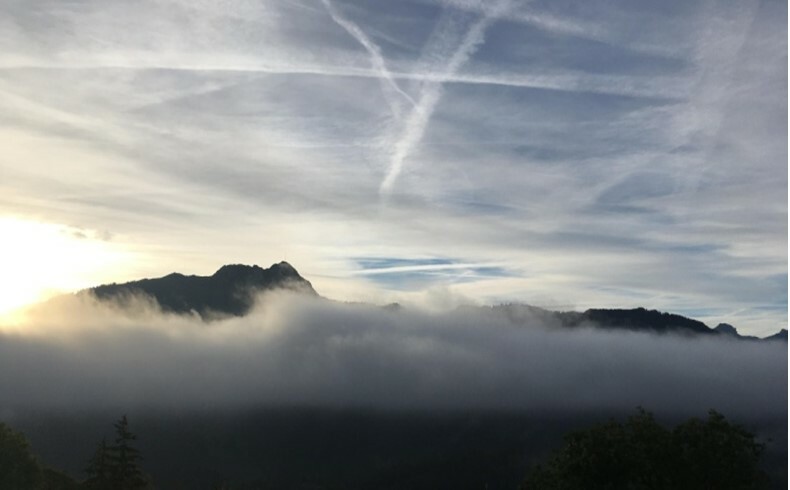 Mountains around created new magic moments every morning and even if you never used imagination before – this was the place where it just comes to you and you mind is in blossom of ideas. Andy Davies and Romula Dantas from Y World helped us with orientation at the new environment. We are here from the YMCAs of all over the world, we are going to have workshops devoted to different trends we are willing to develop. We are here also for networking and there will be some events to help us with it. We knew the topics before we arrived and made our choices. Choices were difficult to make as all topics seamed relevant. We are start up, so civic engagement is definitely something we need to implement. Environment will not be protected by itself, especially Carpathian forest. Ten sing is so close to what we do with theatre. Since it was difficult for me to focus and the mountains were promising some relief I moved from Civic engagement to Mental health. My intuition told me that even if our projects look like Civic engagement and Ten Sing ones, the feed back of actors and number of therapists working with us locate that in Mental health trend. Well informed intuition is usually right. Even though it is not so popular to talk about Mental health in Ukraine, we are doing a number of projects devoted to it. 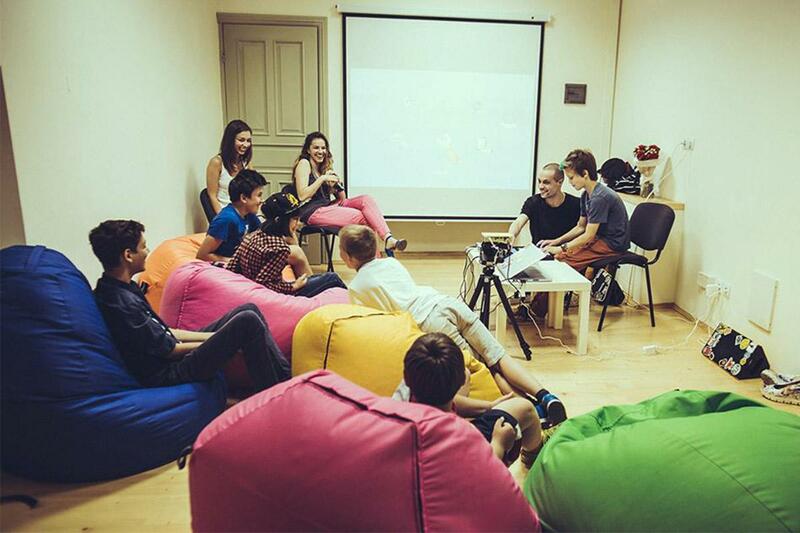 Innovation camp helped me to realize that our art therapy oriented projects do not stay aside of trends in the world. YMCA England and Wales started #IAMWHOLE campaign aims to encourage young people to challenge harmful language and negative stigma surrounding mental health and encourage others to speak out and seek help. YMCA Vancouver cooperates with regional government on Mental health issues and implements YMCA Mindfulness Program for young people. Should we move somehow in this direction too? At the workshop we got inspiration to move forward. Methodology was well presented, exercises deep and follow up discussions quite fruitful. Our trainer, Sarah, is very experienced and open young lady, caring and sensitive to the group needs. In my dreams I could easily picture Sarah working with our young people from youth leadership program in Lviv. To do what she does I needed a partner and and a bit more experience on how the group should move and how all the topics from a six week program should be presented to the group. I kept the dream of going to Vancouver and see the program alive to myself and went home quite inspired. In Lviv I realized that we should move on the same direction only with our own speed. So, I contacted our therapists. They already worked with us during the projects and were open for new developments. We decided to create a group for Mindfulness program in Lviv. Young people from leadership class supported the idea. Now we are on fundraising stage: to make the first pilot project we need 1000 EURO, materials and supervision included. After that we might have a group of Y volunteers with physiology or relevant background who is able to lead the program for youth. We hope to start before the new year with what we have now and then research for further cooperation strategies with Y Vancouver. Meanwhile, our trainers developed a short 4 days module on art therapy after conflict based on bast practices we had with integration projects. We will be happy to share with YMCAs what we learned during these projects and provide some working models which are easy to adopt for work with refugees, veterans and other post conflict groups or ethnical minorities. At the point I would like to thank the WA for the great opportunity and inspiration, all the participants for being friendly and inclusive and lovely Switzerland for sharing its peace and mountains with us.